This dramatic Venetian Vase is a museum-worthy creation showcasing the uniqueness and the splendor of authentic Murano Glass. 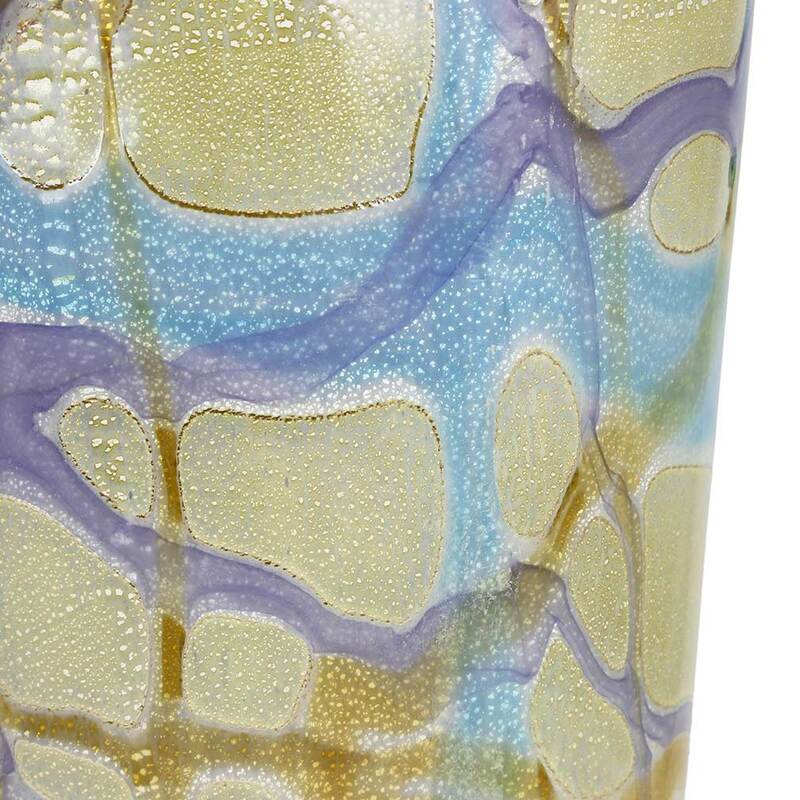 The vase's imaginative style, which builds on the artistic trends of the 19th and 20th century, is complemented by fine workmanship based on the ancient glass-making tradition. 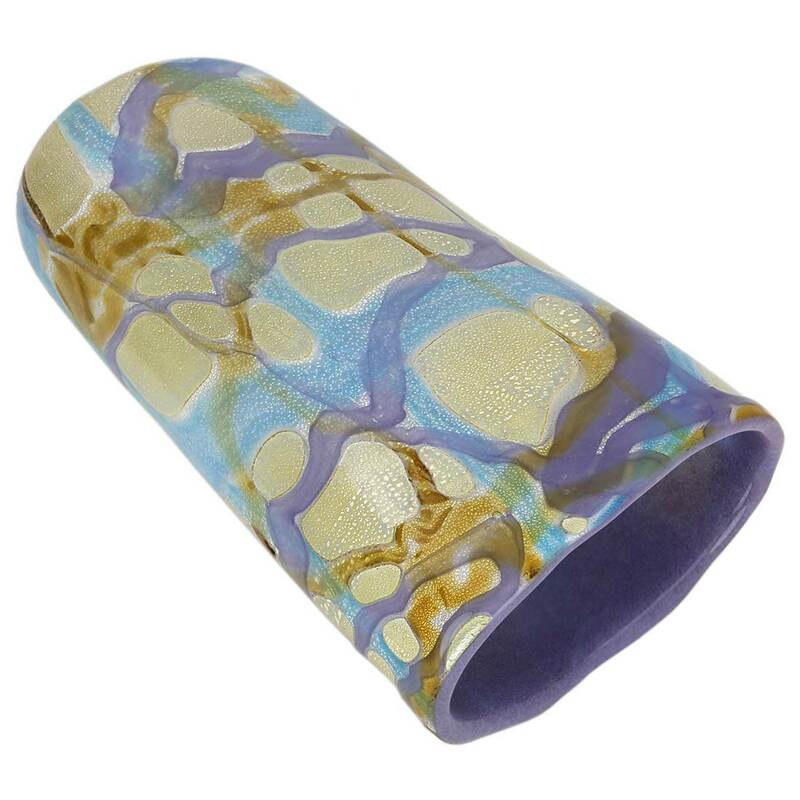 Layers and ribbons of colorful luminous glass in the contrasting shades of violet, purple, aquamarine, and amber wrap around the shimmering silver-infused base for a striking look reminiscent of the gently sparkling waters of Venetian Lagoon in the morning sun. 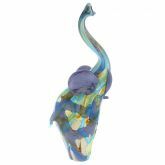 This fabulous Murano vase is handcrafted in one of the most prominent glass-making workshops on the Island of Murano in Venetian Lagoon by the masters whose lineage goes back over a hundred years. This vase is a masterpiece of artful design, color, and brilliance, along with virtuosity and precise skill of the master artisans, that is so hard to come by nowadays. 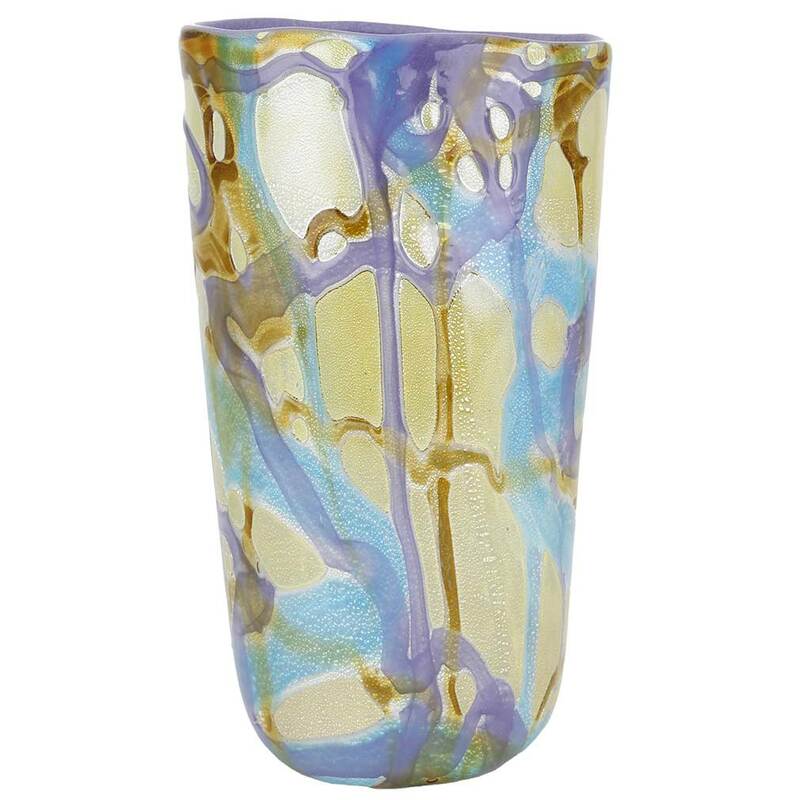 These gorgeous vases are used by discerning designers and decorators for accenting modern luxury with Venetian flair. 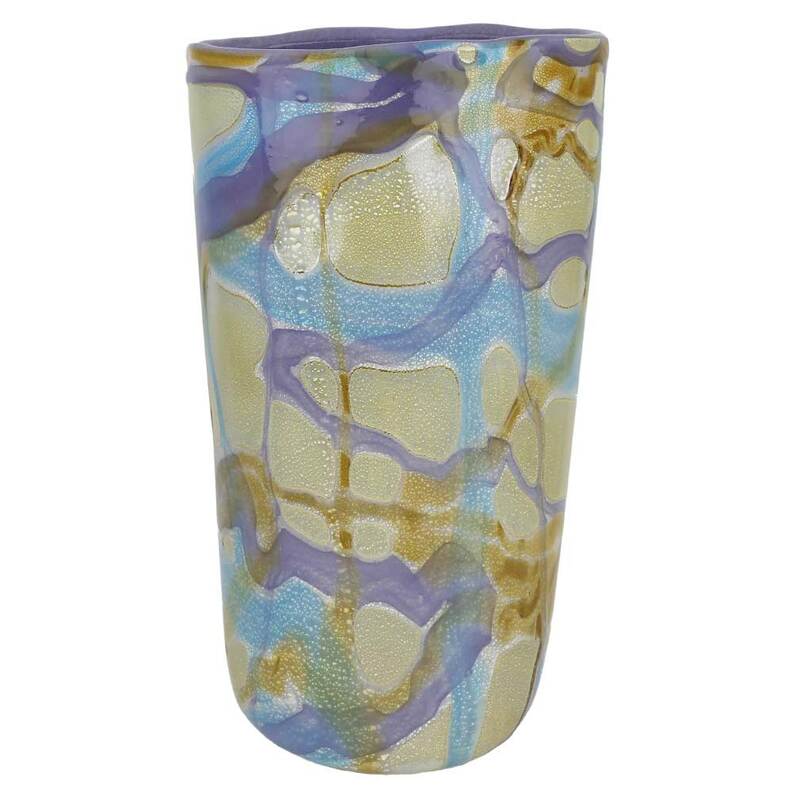 Measurements: Despite its seemingly light look, this art glass vase is heavy and substantial. 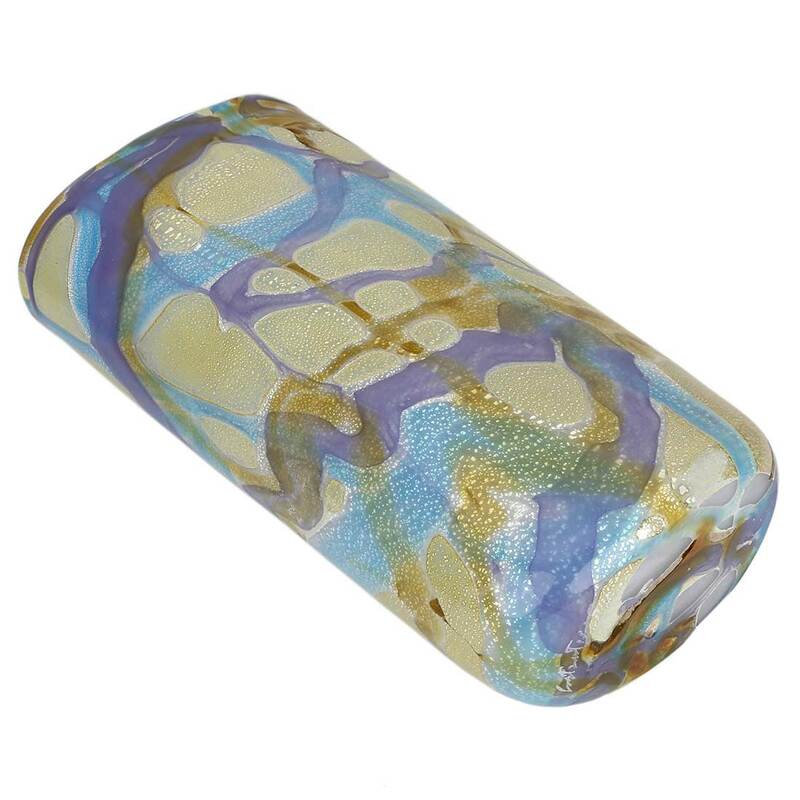 It measures 14 inches in height; 8 inches wide in its widest part and 4 inches in its narrowest part. The vase is very well packaged to avoid damage in transit. 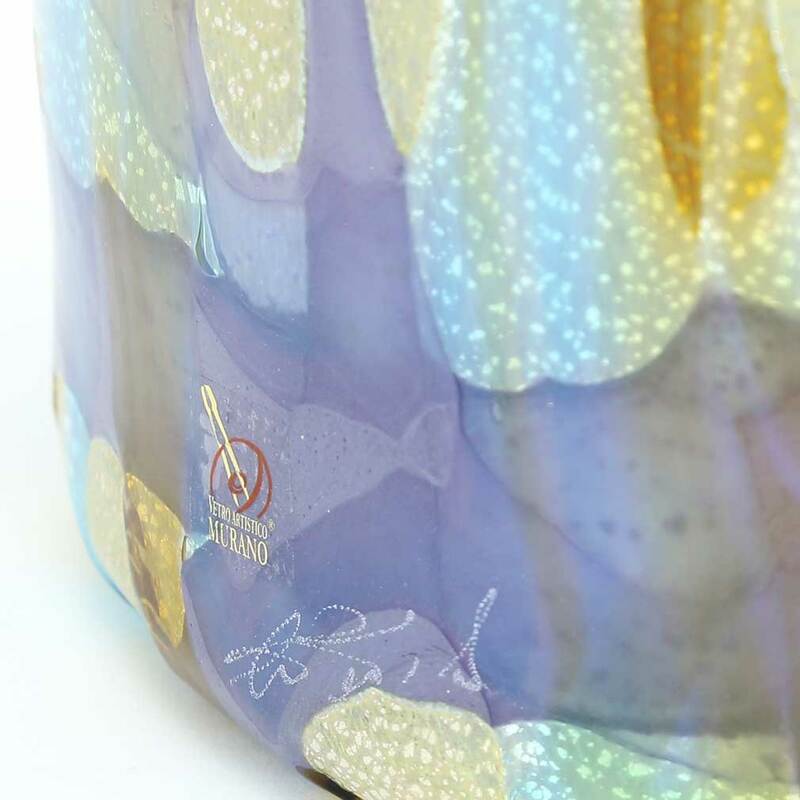 Authenticity: This vase comes with the signature of the glass artist, the sticker of Murano's official Glass-makers' Consortium and the certificate of authenticity. Need to see this piece first hand to appreciate it, especially the colors. Very nice.